What can we do to avoid being “conformed” to this world? How can we experience the joy of Christ in our lives? Why is it important to spend time reading and studying the Word of God? Where do we get the strength to live for Jesus every day? How can Christians apply the things we are told in Ephesians to their own lives? Ankerberg Q&A Episode Reminder Get a sneak-peek into each new show, delivered straight to your inbox! 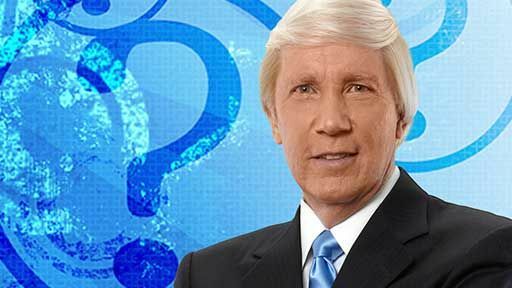 Ankerberg Q&A features question and answer clips from The John Ankerberg Show, a weekly half-hour internationally syndicated television program. The John Ankerberg Show uses informal debates between representatives of differing belief systems, and documentary-styled presentations to explore major issues in society to which the historic Christian faith has something of consequence to say. The programs are designed to appeal to a thinking audience of Christians and non-Christians alike. Dr. John F. Ankerberg in his writings and on his television program presents contemporary spiritual issues and defends biblical Christian answers. He believes that Christianity can not only stand its ground in the arena of the world's ideas but that Christianity alone is fully true. He has spoken to audiences on more than 78 American college and university campuses, as well as in crusades in major cities of Africa, Asia, South America, and the Islands of the Caribbean. He is a member of the Board of Directors of the National Religious Broadcasters. He and his wife, Darlene, have one daughter, Michelle.